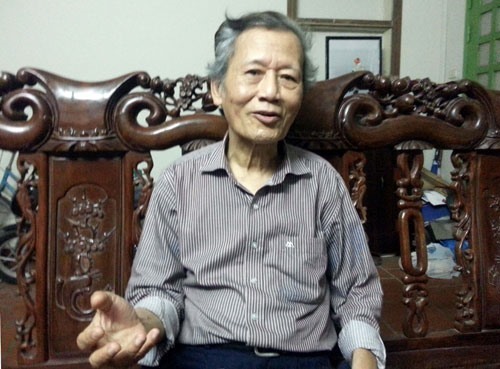 Dr Nguyễn Văn Hùng, former president of Hà Nội University of Civil Engineering, speaks with Hà Nội Mới (New Hà Nội) newspaper about the use of vertical spaces to maintain order on city pavements. The pavement is supposed to be for pedestrians and is part of the architectural landscape of the city. However, it has become messy and seriously encroached. Could you tell us how you view the issue? The pavement is not only a place for pedestrians but also a place for communication, creating a harmonious open space between streets and houses. In the past, businesses on pavements had not developed, so the sidewalks were very airy. However, since we opened our door to international integration, the flow of goods has been bigger and people have been using the surface of the pavement as a means of subsistence, putting pressure on the city’s urban infrastructure. The pavement has become overloaded and strongly linked to the livelihood of many people. In order to deal with the problem, the city has repeatedly launched crackdowns, but to no avail. Could you explain why? In my opinion, low awareness, bad habits and loose management are the main reasons. In addition, the total number of motorcycles and personal cars in urban areas has exceeded the capacity of parking areas in the city, leading to illegal encroachment on pavements for parking. Law enforcement forces have repeatedly launched campaigns, but remained unsuccessful due to a shortage of solutions. I think we need to carefully consider the specific proposals for specific streets to find proper solutions. Since Hà Nội has implemented a plan of enhancing inspections and handling traffic violations, the situation is much improved, especially people’s awareness. Encroachment on the pavements has been reduced, and people can walk on them instead of on the road. When the order on pavements is re-established, some of those who earn their living on the pavement are affected. How will you handle this issue? In my opinion, this is a long process and it needs a comprehensive solution and roadmap to ensure people can walk on pavements while households living on the streetside can have the space to earn their living in accordance with the law. What can you recommend for specific solutions? First of all, all violations must be punished. Secondly, functional forces need to re-arrange shopping areas, and each area needs to have a parking place within 200-500 metres. Another important issue is that local authorities need to define parking areas. Households living alongside the street must bring vehicles into their house instead of parking on the pavement, visitors need to park their vehicles in allowed places. Street vendors can only appear in some certain streets and at certain times. Some urban transport experts say that it would be difficult to maintain pavement order due to population pressure and narrow spaces. What is your view on this matter? Hà Nội’s ground space is currently too narrow. I suggest that new urban areas should provide all the services so that people do not have to go to the centre of the city. Each district should have its entertainment centres. In the central area, it is necessary to reduce the height of buildings to reduce the pressure on pavements. Bus stops can be built underground. In order to reduce the pressure on sidewalks and roads, we should study the use of vertical spaces. We can allocate areas for selling newspapers, groceries, souvenirs on parts of tunnels for street pedestrians.